Did your static home survive the Siberian onslaught of the “Beast from the East” at the end of February? Before you breathe too big a sigh of relief, though, remember that March, April and even May also bring their fair share of storms, gales, lashing rain and the risk of flooding. Given the unpredictability of the British weather, any time of the year is probably a good time to confirm that your static caravan insurance continues to deliver the protection needed for your holiday home. Suitable insurance – from specialists such as ourselves here at Cover4Caravans – indemnifies you against the financial losses that might result from storm damage to your static caravan, but there are still many, largely commonsense, measures to be taken to mitigate the risks. Indeed, your insurer has every right to expect you to take such reasonable precautions. If you don’t any loss or damage may be attributed to your contributory negligence, and the value of any insurance settlement reduced accordingly. if you are going to be away for any length of time, you might want to arrange a visit from time to time to check that everything remains safe, secure and ready for the worst that the elements may throw at your static home. Storms can wreak havoc with your static home and can spring up at practically any time of the year. 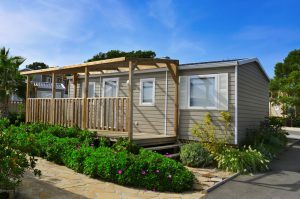 Regular checks and a short list of common sense precautions may help to mitigate the risks – putting the mind of your static caravan insurance company at ease and saving many a dent in your own pocket.